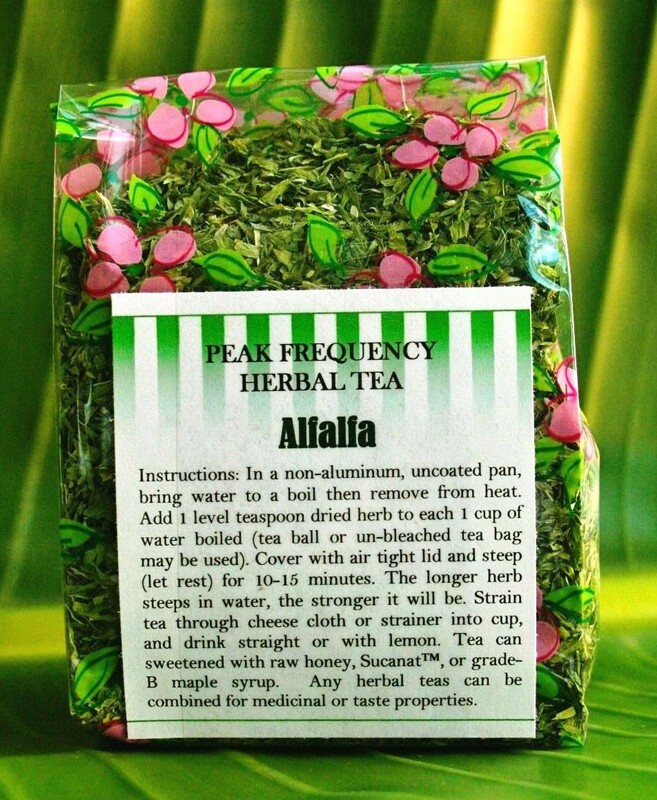 Alfalfa tea may be a great liver and gall bladder flush to stimulate digestive bile, is a field grass indigenous to the Americas, and with a deep root system it collects deep soil minerals not found at depleted surface levels. Its properties may provide surplus vitamins plus major mnerals such as calcium, potassium, phosphorus, magnesium, and iron, plus trace minerals such as those needed for healthy bones, teeth, nails,joints, and hair. Alfalfa contains traces of copper and zinc for anti-inflammatory properties, and it may thin the blood and reduce cholesterol. Its stores of Vitamin U may provide relief of peptic ulcers, and its B-complex vitamins may sooth irritated nerves, its vitamin A may improve night vision, and vitamin D may boost immunity. Alfalfa my be capable of repairing and restoring gall bladder function, dissolving gall stones and kidney stones, removing plaque due to slimy liver bile, aiding gall bladder to fight infection, and building healthy ducts for releasing liver bile at the proper time during digestion. Alfalfa has proven effective for disorders of the bones, such as fractures, bone spurs, osteoporosis, and arthritis pain. With stores of protein, live enzymes, chlorophyll, and B-complex vitamins alfalfa provides loads of energy, and may stimulate liver and general detoxification. Alfalfa is often juiced for accessing plant chlorophyll, the main agent for hemoglobin building, and performing metabolic and respiratory functions, as well as promoting growth factors. Other Alfalfa actions may: Stimulate menstruation, Stimulate milk production, provide Anti-fungal action, Decrease morning sickness, and relieve constipation & bloating.